I use these in my high school English classroom. 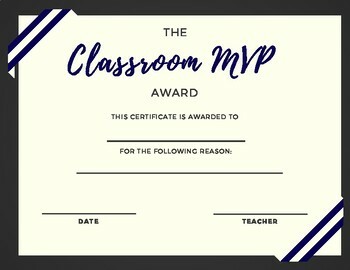 Every other week or so I pick a few students to receive an award for something they did well in class; I alternate between academic reasons and social reasons. While I wasn't sure high schoolers would enjoy this, they ended up loving the awards because shows them that their actions and work matter, and it tells them that I notice them.